[toc]Growth and spread of malignant cells in the brain tissue is termed as brain cancer. These cells interfere with functioning of the brain such as memory power, sensation and muscle control. Brain cancer can affect different parts of the brain. About 50 % of brain cancer patients suffers from headache. 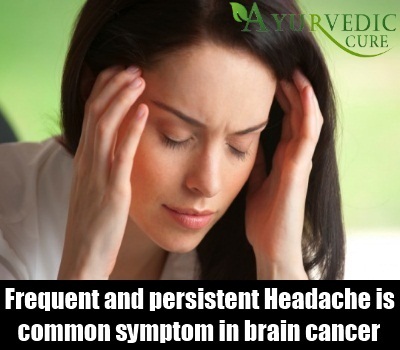 Frequent and persistent headache is common symptom in patients with brain cancer. 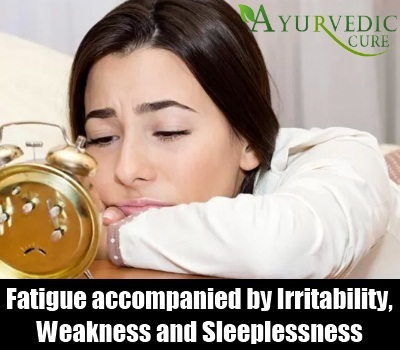 It is steady pain worse when you wake up and relieves after some hours. Patient may feel nausea and vomiting sensation with it. It doesn’t respond to medication or remedies. 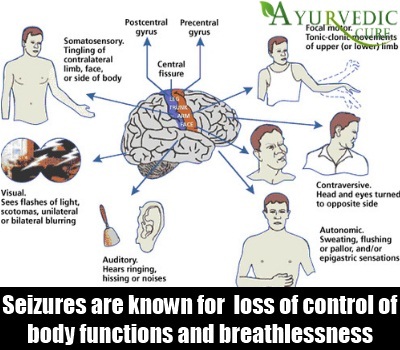 This happens because of pressure caused by the tumor or fluid build-up on nerves and blood vessels in brain. 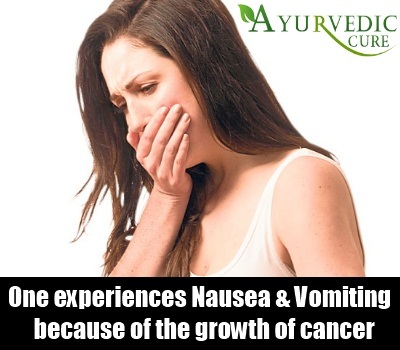 As pressure increases on nerves and the brain because of the growth of cancer, one experiences nausea and vomiting along with headache. Cancer and its treatment methods like chemotherapy, radiotherapy or surgery may affect the memory of the person. Short term memory is more affected as compared to long term memory. Our short term memory stores information which we need to remember for few minutes. Long term memory stores memory which we need to remember for a longer period of time. Brain cancer affects storage, encoding, consolidation and the retrieval process of memory. About 25 % of brain cancer patients show symptoms associated with depression. Major depression is persistent and this is characterized by sadness, loss of interest in things, feeling of guilt, insomnia, decreased energy and suicidal feeling. It should be addressed and managed properly. It is a common symptom caused by abnormal electric activity of the brain. There is an interference in electric signals through which nerve cells communicate. Though seizures are random, patients may get signals of unusual things happening in brain. Seizures are known for sudden onset, loss of consciousness, loss of control of body functions, breathlessness and unusual movements. Behavior is the way in which person responds. Cognitive and personality related problems arise where development of carelessness, loss of concentration, general confusion, language and communication problem, learning and memory problem are seen in the patient. The problem is associated with the affected area of brain, size and growth of tumor, as each area has control on specific function. Fatigue is another common symptom of brain cancer which is accompanied by weakness, heavy limbs, and lack of concentration, irritability and sleeplessness. Cancer and its treatment like chemotherapy, radiotherapy and surgery may induce fatigue in patients which results in lack of energy. 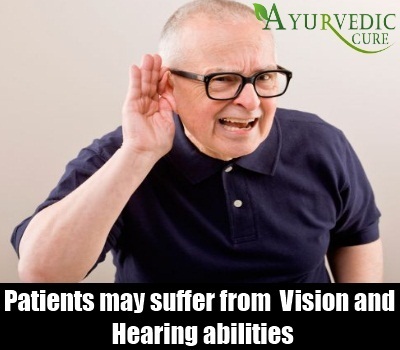 Patients may suffer from a change in speech patterns, vision and hearing abilities. All the nerve cells attached to audio- visual and vocal areas of the brain are affected. 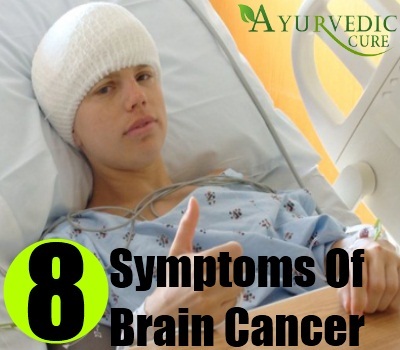 The above symptoms may or may not occur in all patients suffering from brain cancer. Further, it must be remembered that the presence of one or more of the above symptoms does not mean that the person has brain cancer. 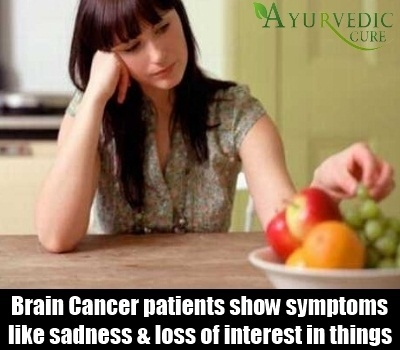 Such symptoms may also exist due to conditions other than brain cancer. If you see increased persistence of one or more of the symptoms, you must immediately consult a doctor to identify the reason.